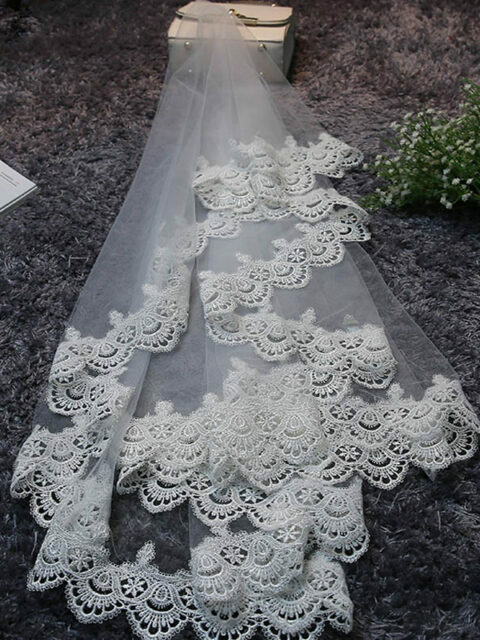 A wedding is often one of the most important days of a woman’s life. 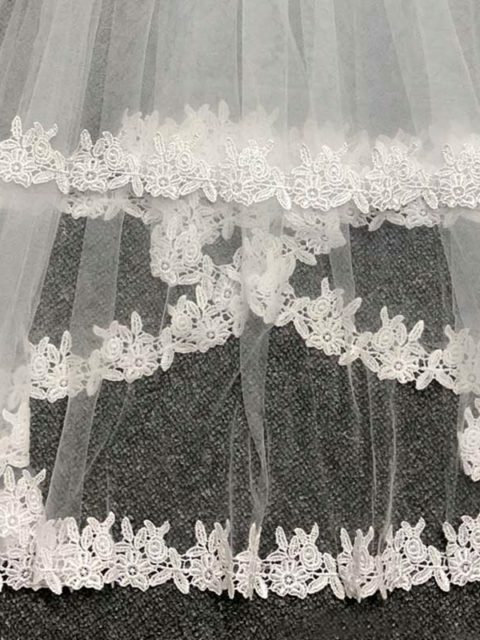 While most emphasis is placed on the dress, picking the right wedding veils to compliment the outfit and your personal style is incredibly important. Deciding on the right length is the first step. 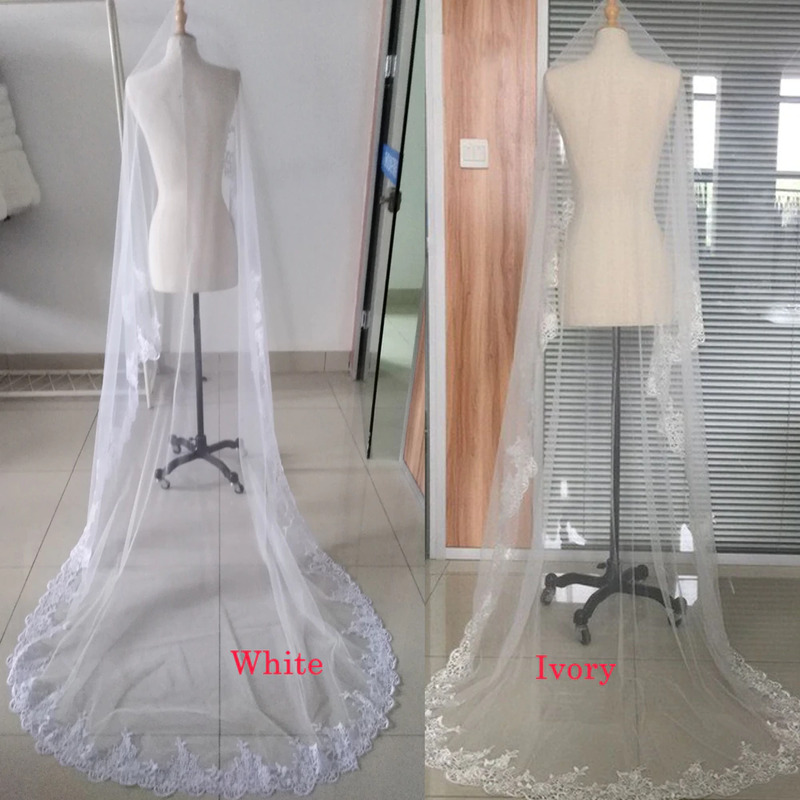 Length is important because you want something that compliments your silhouette. 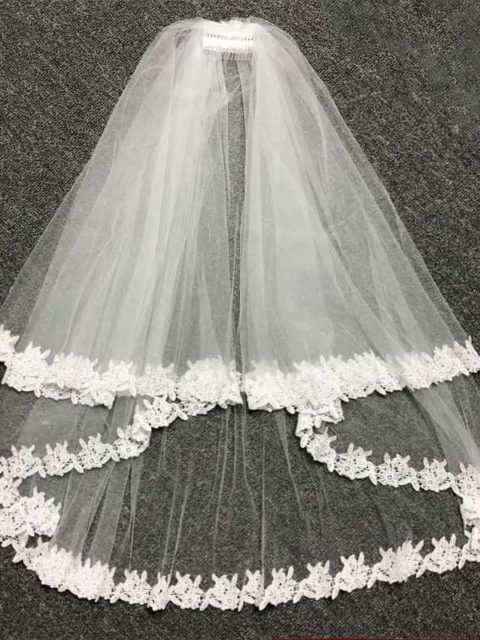 A veil can break the flow of your overall look, so it’s important to try different lengths to see what flows well with the dress of your choice. 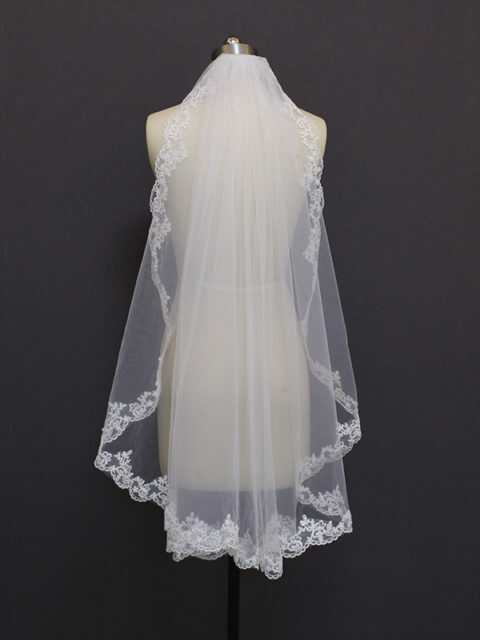 If your dress features back detail you want to show off, a long veil would not be ideal for your overall look. Color is always important. 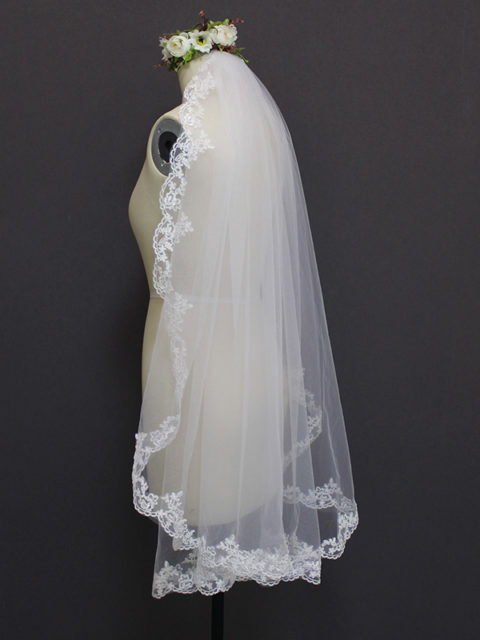 For years, white was the standard, but now veils are available in every color choice around. 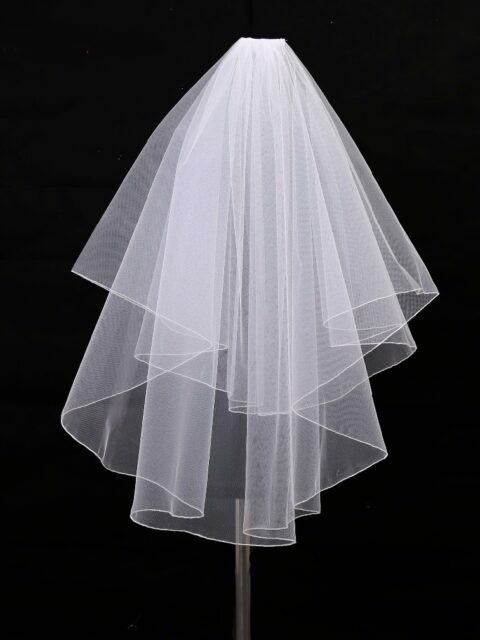 The veil should match the color of the gown, but feel free to add some small embellishments that add a pop of color that might be complimentary to the wedding color choices. 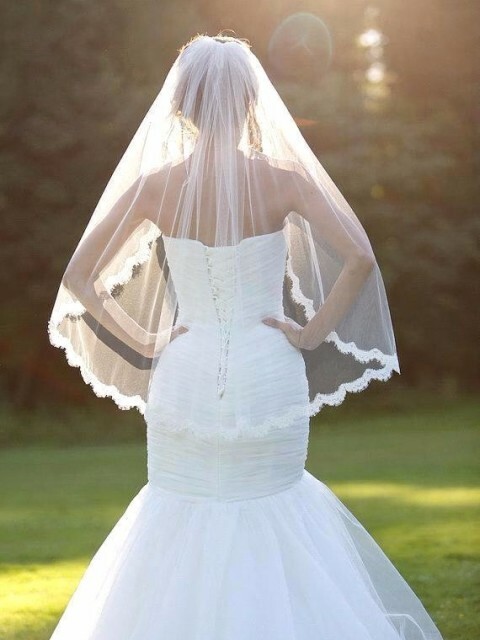 Balance is key when choosing a veil. 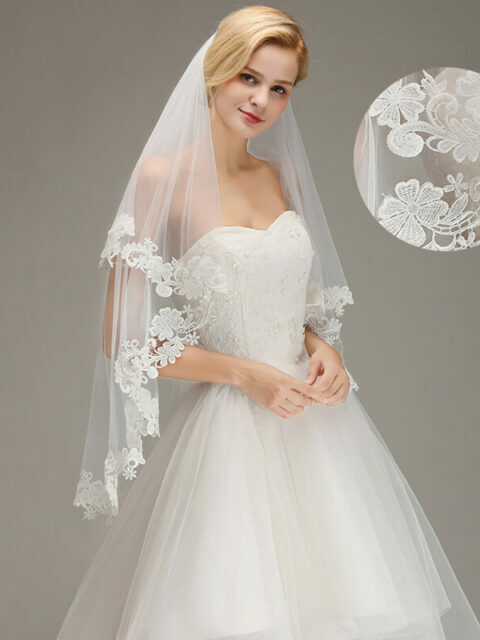 If you have chosen a very embellished dress, a simple veil is always the way to go to avoid a cluttered feel to the overall look. 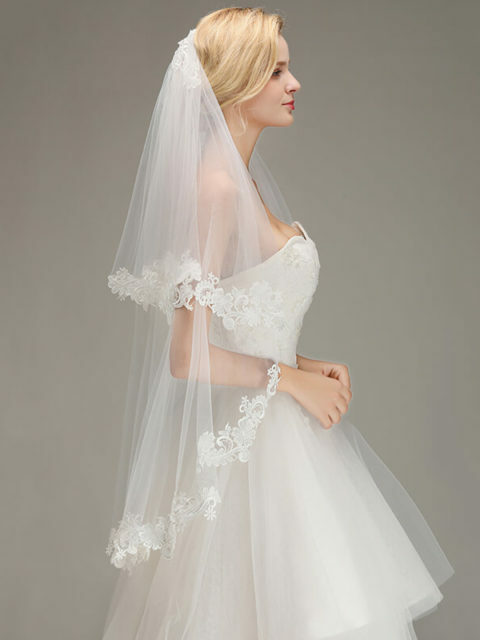 If you have picked a simple dress, use a veil to add a bit of color and adventure to the look. 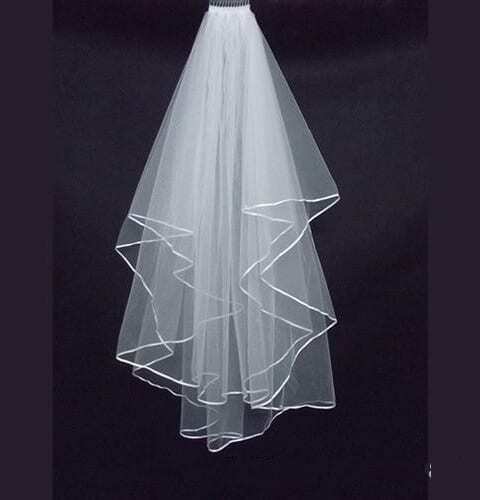 Always make sure you are envisioning your hairstyle when shopping for a veil. 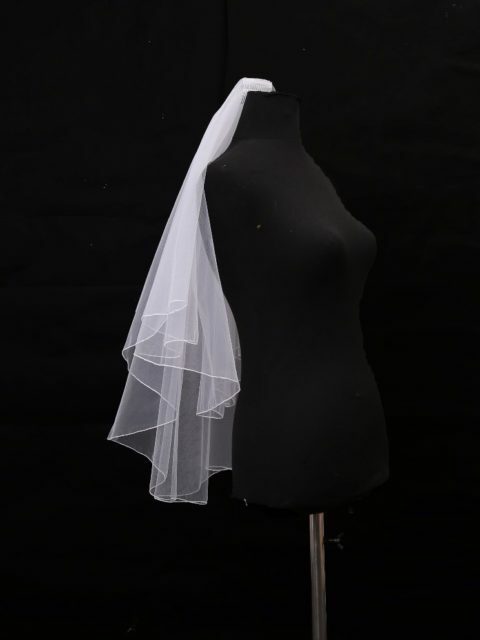 If you are planning on wearing your hair up, don’t try your veil on with your hair down and draping your shoulders. 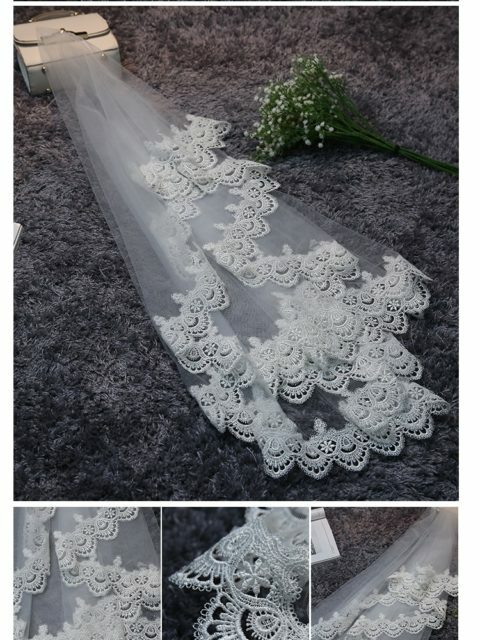 It’s important to make sure that not only will the veil look right with the hairstyle you have chosen but will also attach properly. 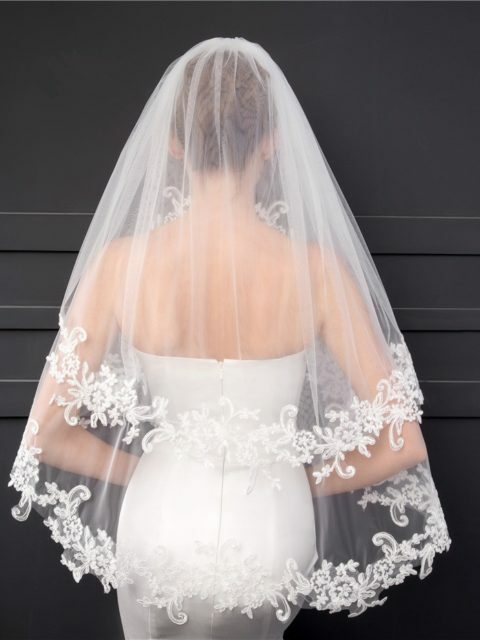 This is a year of new styles and trends, and wedding veils are no exception. This year offers decorative hair clips that veils can be attached to that come from simple and plain to sparkle encrusted masterpieces. 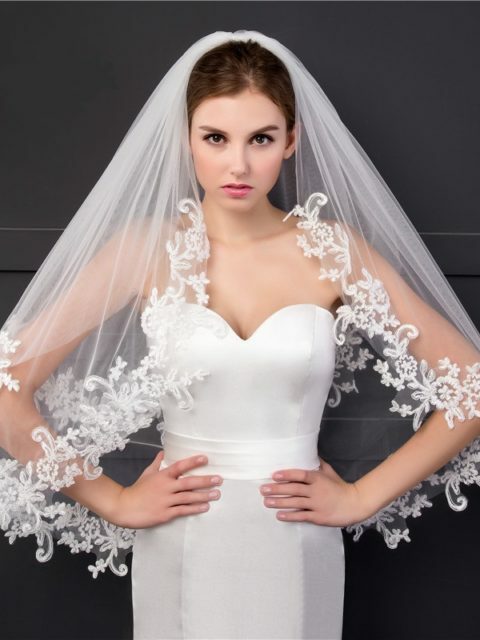 Hot trends are also leaning towards Bohemian flower crowns, embroidered fascinators, and incredibly dramatic cathedral veils. With so many options, it will certainly be difficult to choose. 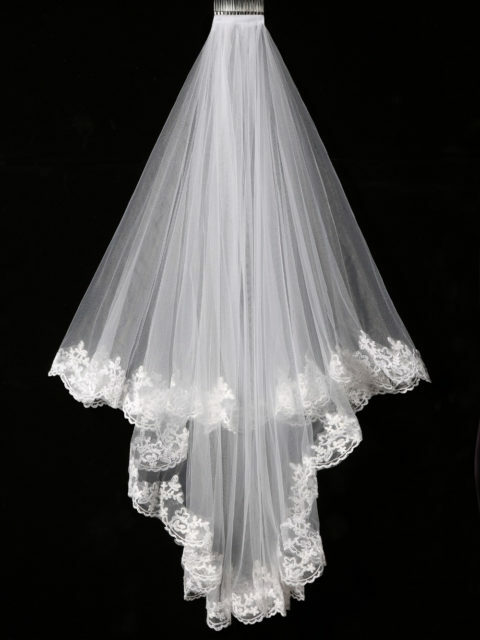 The most important thing to remember when looking at wedding veils is that this is your fairytale day, your big moment. 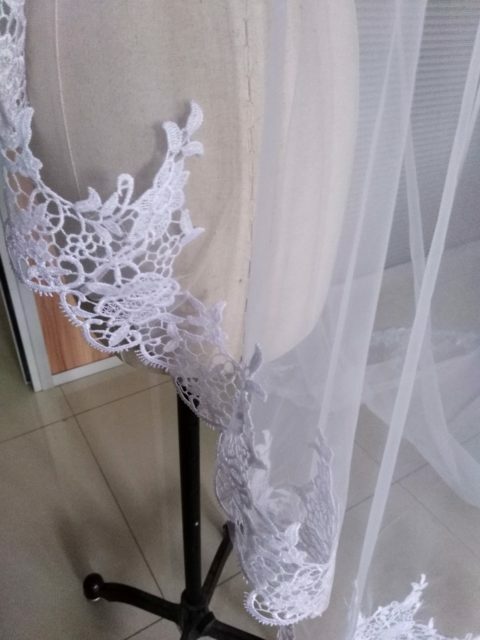 While fashion is always something important to consider, make sure you are creating the dream look that you have fantasized about.